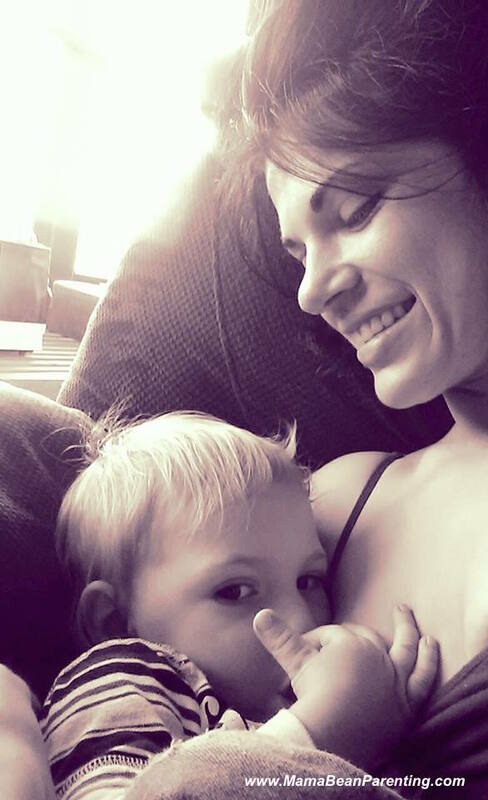 It’s amazing how stories of moms breastfeeding newborn babies tend to receive a very different reaction to stories of moms nursing older babies, toddlers or preschoolers. Too often, people are unwilling to open their eyes wider than their own reality…too many are afraid to acknowledge the facts when it comes to the medical recommendation for nursing duration. Biologically speaking, the optimal duration for breastfeeding is at least 2 years*. More if mom and baby wish to continue. If you’re already part of the Mama Bean community, you are likely more than aware of this fact already. But for those outside of our village, this information is so often met with disbelief. Which is exactly why we are sharing our stories. Because the more we see breastfeeding, the more normal it will become…no matter the duration of the nursing relationship. So thank you Lansinoh, for joining me in sharing the stories of real moms, nursing in exactly the way and for exactly how long they deem fit. Because we’re in this together, mama. Thank you to mama Dainah for allowing me to feature her story in this piece. For more glimpses into real life breastfeeding, join the Mama Bean village on Facebook! I have also received criticism for nursing my toddler, but I don't care and keep doing what's best for my son. Beautiful picture and great story. I am exclusively breastfeeding my 12 month old baby and it looks like we are going to continue - at least as long as she wants... She is not interested in solids of any kind but very content to have her mommy's milk. She is in 75% and i hope she will continue to be. Nursing mama to a toddler here too! We need more stories like this!